Fill out the form below and we will call you back shortly. 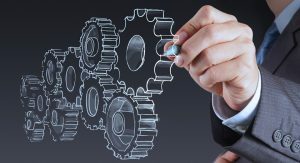 Design engineering is a process of devising a system, component or process to meet the desired needs. It is a decision-making process in which the basic science, mathematics and engineering methods are applied to convert resources that can meet a stated objective. Most of the design engineering companies’ use designing processas this is one of the most important steps in the development of a product. Indeed, without a design, manufacturing of the product is not possible. No matter how good is the production and manufacturing unit of the engineering company, if a product is poorly designed, the end product will still remain a bad idea and will ultimately fail for market purchase. Most design engineers consider designs as improvements on existing systems or devices that are created by human effort. They are the result of bringing together technologies to provide solution to problems that will meet the needs. Design activity requires step-by-step methodology and occurs over a period of time. The first step in design process is to recognize the definition of theproblem. This definition usually contains a listing of the product or customer requirements and information about the product functions and features among other things. After identifying problems and requirements for the product design, it is important to formulate problem in clear and definiteterms. The problem statement will give a proper review to recognize the needs and the requirements. Most engineering companies use a concise and flexible statement which will allow searching for creative solutions. While looking for a better solution, a criterion for success must be established to meet the attributes of the design. As the design solution develops, the initial criteria to meet the need of design specification, allows flexibility to design process. To find important information related to design problems, essential resources are needed to extract required details regarding designing process. These resources might be engineering books, research papers or internet. Keeping attributes of designing in mind, you can find appropriate information. Internet is a resource that can provide wealth of information from a variety of different sources. There are many electronic catalogues from which you can search engineering books related to designing. Indexes can also be used to find useful articles which can be relevant to your problem. Next step in design process is to generate creative and new ideas that can solve problem. Existing solutions can also be used to find solutions to the problem as these solutions can have the assets required to improve product designing. It is not an easy task for design engineers as it consists of risks and mistakes that may aggravate the problem at hand a. To have an effective solution, one can concentrate and focus on the objective until they are achieved. Once all the solutions are conceived to design problem, you need to analyze those solutions and decide the best solution for implementation. You have to carry out specific methodologies to choose right measures for your solution. This requires proper analysis of each alternative solution to meet the requirement as decided in step 1. After analysis, you will refine and develop the best solution in more detailed and informative manner. The final stage of design process in engineering design refers to testing, construction and manufacturing of the solution to the design problem. The most important activity to implement your design process is documentation which will clearly elaborate your solution so that anyone can understand what you have created. After implementation of the design, testing and verification must be done to match the requirements and all other design attributes. Without proper testing, your product will make false statements while being used by a customer. Also it will ensure the working of your product and won’t let you down in the market. 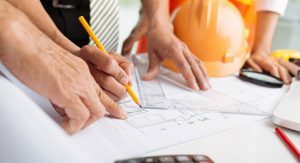 A good design engineer will follow these steps and standards for his designing reference. He will keep updating the product design with better solutions and provide convenient techniques. DK Engineering Solutions has design engineering specialists on board who provide the best solutions with their work, experience and knowledge. We have immense experience of working in this industry for over three decades. We are specialisingin developing innovative ideas through a blend of design creativity and engineering excellence. With highly experienced product design team, who really understands and care about quality manufacturing, we manage the entire development process to deliver best results for market. Our design engineers have excellent analytical skills to examine the need of the product and help things to work better. With hand-in-hand knowledge of changing technology, they have the ability to provide essential and profitable solutions. Our client management system has great approaches towards handling the need of each and every client who desire to get perfect results. Along with excellent products, we offer care and maintenance, at highest possible standards. Comparing to other design engineering companies, we use highly-structured, well-documented, collaborative development process. With our unique experience we have the ability to deliver high volume products with specialist industrial equipments. We provide well designed core harvesters which will be helpful to remove the cores from the ground without using substantial amount of labour. It is made up of mild steel which is strong enough to be mounted on a tractor. Our harvesters are designed in a way to pick up cores more rapidly and accurately resulting in a clean ground. We have impressively designed sack rolled machines which can ease the process of folding and rotary operations. With high quality materials like rubber and tubes for rotating belts, the mechanism provides smoother operations. We also provide cleaning and feeding panels for poultry which consists of two motors: one for feeder and other for cleaning. It providesboth cleaning and feeding options at the same time. With high quality motors in feeders and cleaners it can provide high performance to poultry houses. 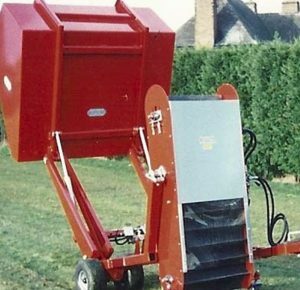 This equipment is specially designed to separate dust from the shavings. Main purpose of the machine is to take in dust particles and separate them from mixing with shavings. This equipment is made from high quality materials and motors which can give high performance to the company. We have lot of varieties of this device which can suit any requirement. It is specially manufactured from stainless steel with controlled pneumatic action for smoother performance and to provide lot more convenience. At DK Engineering, we assure to strike a perfect balance between our proficiency as design engineers and the product design that we tailor for our clients all in one place! We offer services that a reputed design engineering company should provide right from the initial idea to the finished product. Our clients approach us mainly for the innovative ideas that we put on the table with new and better products, our extensive industry experience and the ability of our team to respond quickly to any queries. Of course, what attracts our clients the most is our strong affinity and understanding towards technical design and the challenges associated with it. We place user experience at the heart of an innovation, making it simple and more accessible. This is mainly because, a product that is simple to use and understand is likely to be recommended and adopted by others. So, get in touch with us today to devise a technology that not only is the perfect solution but is also very easy to operate! Why Early Investment Into Factory Layout and Design Can Pay Dividends? © 1896 – 2017 BuildPress Landscape. All rights reserved.